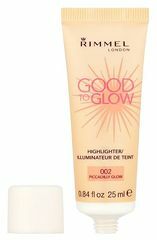 Instant buildable illuminator and highlighter. Light reflecting pigments for a radiant and luminous look. The lightweight liquid texture can be used on face and décolleté and can be worn alone or blended with foundation for a subtle all over glow. Add an instant touch of radiance to your look!